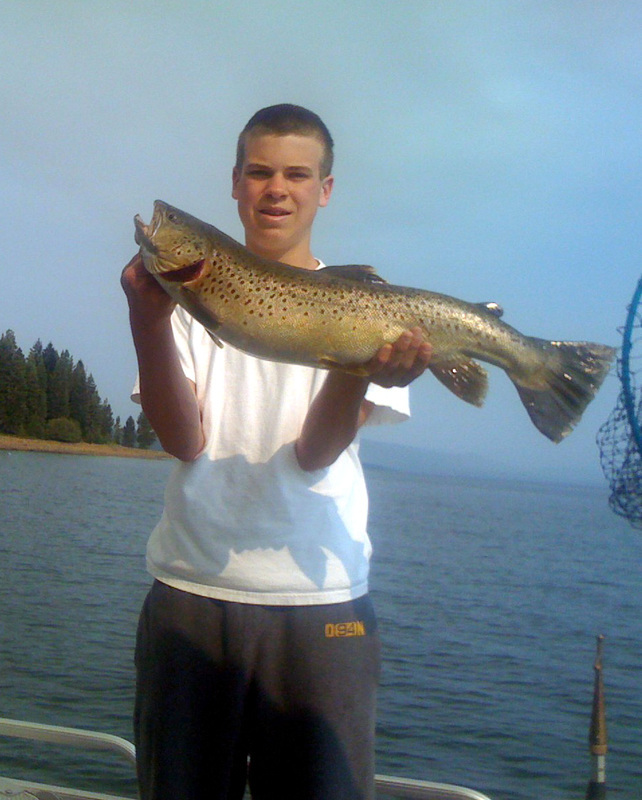 This beautiful 8 pound Brown Trout was caught in July of 2008 by A.J. Casella. Big Cove Resort historical fishing photographs. Lake Almanor is the home of trophy Rainbow and Brown trout. Other species include an ever increasing amount of landlocked salmon, small mouth bass and catfish. Duncan McIntyre of Mac's Lake Almanor Guide Service is our official resident fishing guide of Big Cove Resort and Marina. Click here for fishing photos. Rent one of our pontoon or fishing boat, or launch your own. Our store carries a wide variety of fishing tackle and worms. Big Cove Resort & Marina has a 12-foot deep water launching ramps provide easy access to and from Lake Almanor. You will find convenient parking for your boat trailer. Our EZ dock docking facilities are the most modern on the lake and are available for the duration of your stay or for the season. Big Cove offers Premium grade gas with 91 octane, located on C dock which is straight down from the office/store. Talk about fishing!......Click here to view some classic fishing photos from Big Cove Resort dating back as far as 1979.